Need Cutting, Perfing, Scoring or Punching? To add perforating, cutting, scoring, and hole punching to your paper you must view this page on a desktop device. Free ground shipping within the contiguous US & Canada on all orders $149 and up. See complete shipping details. If you're not 100% satisfied with your products, you can return them hassle-free for a full refund. Restrictions apply. See the full details of our no-hassle return policy. Simply sign up for a user account to start earning 1 point for every $1 you spend. Join our email community and earn a bonus 1000 points free. Extra discounts for reseller & trade, nonprofit and military. See all our rewards program and discount details. Inspired by the petals and the metals of North America, this sumptuous, glimmering paper reflects well on you. Aspire Petallics offers outstanding mica coated colors with just the right amount of shimmer and shine to brighten up your projects with its elegant surface. 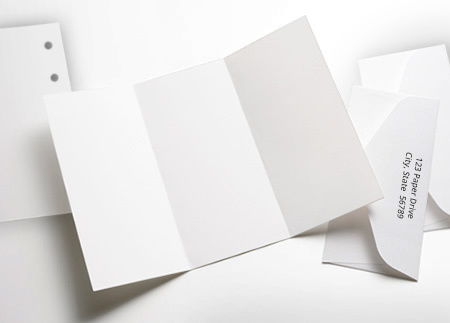 Pearlescent paper stock can be used in a number of ways, and because its heavier than standard paper, it can be turned into beautiful covers for brochures and reports. 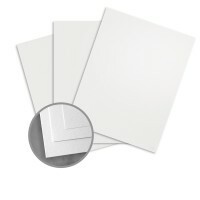 This kind of pearl card stock also transforms nicely into greeting cards, announcements and invitations. However, the 8 1/2 x 11 size may not suit all your creative design needs, which is why we offer professional cutting services. 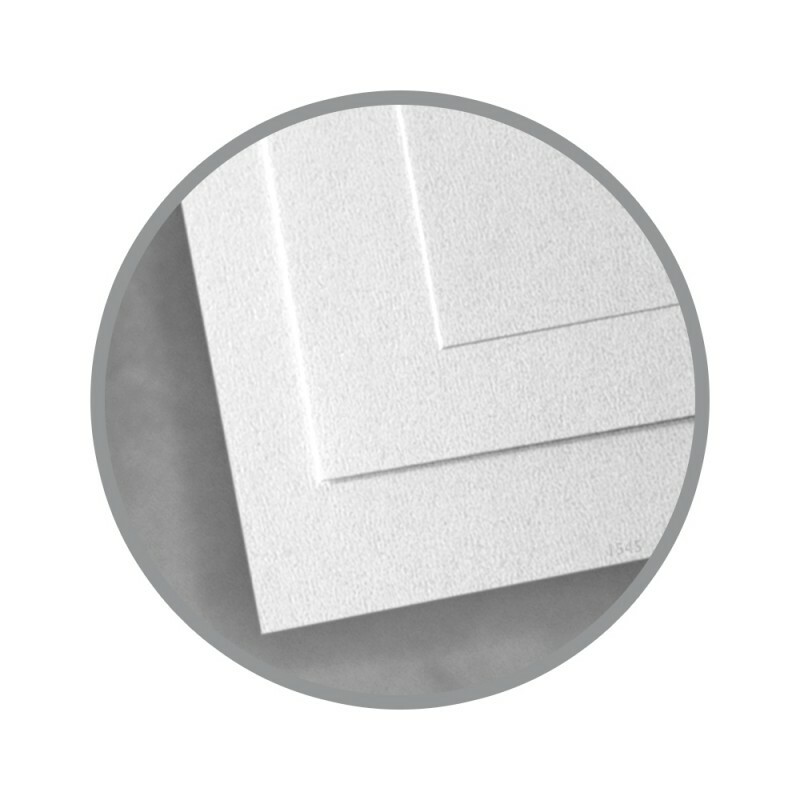 We can cut this pearl paper stock into any size you require, making it easier to create unique business cards, gift tags and other paper items. In keeping with a strong environmental commitment all ASPIRE Petallics are manufactured carbon neutral and offers options in Forest Stewardship Council (FSC). Aspire Petallics has Hp Indigo and NexPress certified items and options for iGen printing. Enjoy the precious metal colors that add sparkle to any project. Achieve a rich, subtle effect when embossing or engraving. ASPIRE Petallics® Metallic Colored Papers are easy to print on when following these simple hints. We recommend you pre-test all procedures prior to press time to ensure you achieve the desired results. ASPIRE Petallics has a totally non-absorbent surface. For optimum results, we recommend inks that dry by oxidation and are 100% VOC free. Please consult your ink manufacturer prior to printing. Some offsetting of the pigment particles to the blanket may occur during printing but should not affect the image quality and will not require special wash-ups. Keep ASPIRE Petallics wrapped in mill packaging until the moment of printing. It is essential to let the paper acclimatize in the press room for a minimum of 24 hours – longer during cold weather. Also keep ASPIRE Petallics covered during drying, between passes and prior to any finishing work. Pressroom conditions should be as close as possible to 68 degrees and 45-60% relative humidity. If the bindery has a different climate than the pressroom, allow the paper to acclimatize to those conditions. ASPIRE Petallics is equally coated on each side. We recommended you print both sides of the first 20 sheets of each carton to ensure you achieve the desired results on each side. For optimum results, set jogger pressure to a minimum and lifts at 3 to 5 inches. Low solvent (0-5%) varnish or aqueous coating is optional as a surface protector or to achieve design effects. Pretest all coatings for compatibility. Run water at minimum levels with a minimum pH of 4.0; ASPIRE Petallics has a surface pH of 8. Solid or multiple color bars can be used to assist in removing water and aid in ink set time. Use care when cutting ASPIRE Petallics. Use a sharp knife with minimum clamp pressure. To achieve a clean edge, back trimming is essential. Wipe the newly cut edge with a clean, soft, glycerin-saturated cloth. To properly score ASPIRE Petallics, start with a 2 point rounded channel score. The matrix channel should be a minimum width of 2.5 times the caliper of the sheet to be scored, plus 0.028” normally 0.050” for text and 0.060” for cover. ASPIRE Petallics is suitable for all standard binding processes. It is important to plan for proper grain direction in all binding applications. Grain direction should run parallel to the spine for optimum results. For optimum results, use foils suitable for plastic materials. A very beautiful paper with gorgeous shimmer and weight. However, when printed at a local copy center using their laser/copier, the toner didn't adhere properly to the card stock and the printing scratched right if off just using a very gentle fingernail. Even normal handling seemed to scratch the toner. Definitely wouldn't work for my invitations since I didn't want guests to get scratched invites so I can't use the card stock at all! Would be lovely as a base card / invitation though! I have no bad things to say! Used on inside of wedding invitations and had numerous complements from the printer and guest. Used to make wedding invitations. Looked very elegant and professional. Could not have been happier. I used this paper for my wedding programs/table numbers and it was perfect. It provided the simplicity, yet elegance that I was looking for. It had just the right amount of shimmer and was just the right amount of thickness. I would highly recommend this paper. Truly one of the more elegant papers out there! I used an HP Color LaserJet and had fabulous results - no smearing, smudging, etc. Very crisp, clean lines. The announcements I printed have a mix of photos, text, and graphics - all printed superbly. Only one issue I experienced, and it very well could just be a problem with my printer, but I had a hard time with printing on both sides (of the card stock - text stock is fine) - the first side printed great, but the second side would often get jammed, I think because of page curling. I just ended up hand-feeding them and that worked out just fine.Also, in response to the previous reviewer who complained of markings, jams and ink writing on her paper - I have a feeling this is a great exception. I have been using The Paper Mill Store for several years now and order quite frequently. I have never once had a problem with the quality of the product. In fact TPMS is my favorite vendor.As for this paper - it will definitely be my "go-to" paper for my clients. Adds a perfect amount of shimmer without being "metallicy". I ordered the paper to do wedding programs for a client of mine and as I begin cutting the paper I noticed some were bent on the ends, some had red streaking down the middle of the paper and some had even been written on with an ink pen. It was too late for me to send them back for a refund because I had already started using some of the paper and besides I had a deadline to meet. Good thing I ordered more paper than what was needed. My advice to anyone who purchase anything from this company ... inspect the product before you use it and don't wait until the last minute to open your package just in case you need to send it back. I used this for my wedding programs. They turned out absolutely beautiful. The only down side was that a lot of kinkos refused to print them, saying the paper would mess up their machine. One place I got them to try it, and it did mess up the paper and it got jammed right away in the machine. They did eventually get them to print but they had to use the color printer, but the black ink. Don't let the printers tell you no!!!! Just make them use the color printer!!!!! I purchased this paper for my wedding invitations and it turned out perfect. I read a previous post where someone said it bleeds and smears on the paper. I used a HP Laserjet color printer and the purple font turned out absolutely perfect! I also stamped a "happy couple" bride and groom on it after going to my local scrapbook supply store they recommended "Stayz On" ink, they are totally perfect and I saved TONS of money by making them myself. I highly recommend this beautiful paper for anyone considering it. Well worth the price! Superb on all levels ! I had been using Stardream metallic card stock to produce photo notecards. Beautiful paper, but expensive. I found the Aspire line here, ordered a sample book, and was thrilled to find that the quality of Aspire is excellent and almost half the price as Stardream. Get $5 off your next order along with exclusive offers and updates. Unsubscribe at any time. © 2019. The Paper Mill Store, Inc. Create your custom design using any or all of the tools below. NOTE: if needed, apply Cutting services first, before other services. Service Added. Need to Add Another? Add another service to your design from the tools below. Select a section on the left, then add the service. You can duplicate services between sections by cutting and pasting, or recycle scraps you don't need. Services require a 2-4 business day lead time. Paper with services included are not returnable for exchange or refund. How many sheets will this template apply to? Your paper will be cut with state-of-the-art paper trimming equipment operated by paper industry professionals who understand the details of your design. Specify any size. Our online cutting designs are exact. Cutting usually takes 2 - 3 days, but let us know if you have a tighter schedule. Whether you need return receipts, business cards or shelf-talkers, our online design is easy. Choose from 46 standard formats or order your custom dimensions on perpendicular edge-to-edge perforations. Perforating usually takes 3 - 4 days, but let us know if you have a tighter schedule. Paper hole punching provides clean, crisp, circular holes for a variety of binding applications. Have us custom hole punch almost any paper available on The Paper Mill Store. Hole punching usually takes 2 - 3 days, but let us know if you have a tighter schedule. Proper folding, without cracking, usually requires a nice crisp score to create a hinge for the paper to fold along. Have us custom score almost any paper available on the site. Scoring usually takes 2 - 3 days, but let us know if you have a tighter schedule. Are you sure you want to start over? This will erase ALL added services from your current product. Hello! Let’s Stay in Touch. Sign up for emails from The Paper Mill Store about new products, services and special promotions and receive $5 off your next order. Your privacy is important to us. We won’t share your email address with anyone for any reason. How do you use paper?